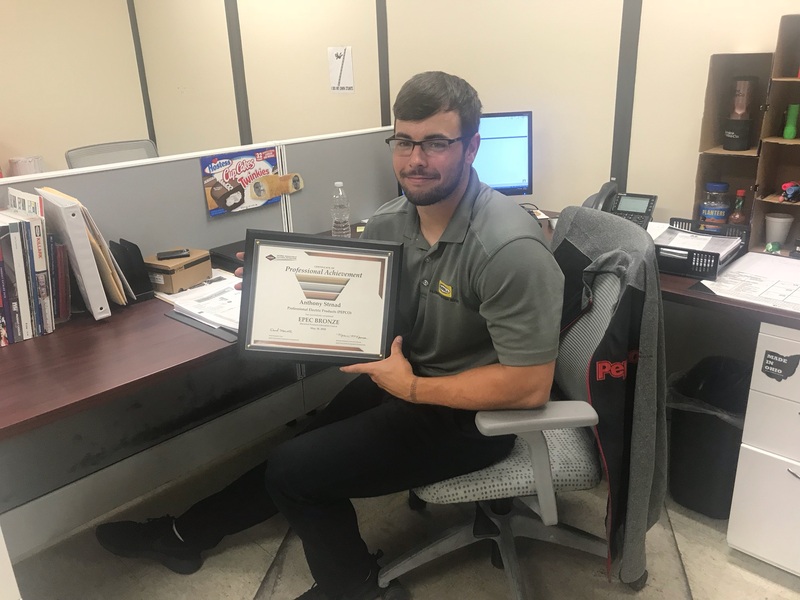 We would like to congratulate AJ Strnad for becoming our first trainee to complete the NAED EPEC bronze level training module. The EPEC program is a cornerstone of sales and product training for the electrical distribution industry. EPEC students participate in three, tiered levels of professional training and recognition (Bronze, Silver and Gold). The bronze level provides the beginning sales skills and product knowledge for over 200 products. Each module guides students through residential, industrial and commercial environments. AJ has begun the Silver level, which dives deeper into lighting, loads, industrial machinery and hostile and hazardous environments. Please join us all in congratulating AJ on this achievement. Each month, one Pepco employee is chosen to be recognized for their hard work and dedication to the company. The overall objective is to offer Pepco employees a personal insight into each other’s lives. With five Pepco branches spread throughout Ohio, it’s a great way to learn about our co-workers on a more personal level. The Pepco employee who has the honor this month is Justin Blakesmith. class of ‘96. I’m the youngest of four children with three older sisters.